If Honda had brought this to market in 2011 or 2012 or 2013 we&apos;d be jumping up and down excited about this. As it stands, this isn&apos;t any more capable than the Chevy Volt except in two ways -- first, the electric range is a smidgeon longer -- second, and this is actually very important, the charging rate is 6 kiloWatts versus the 3 kiloWatts for most other Plug-in Hybrids. You calculate this by dividing the battery capacity (17 kWh) by the charging time (2.5 hours) and you end up with a number close to 6, meaning it&apos;s a 6 kW charging system. Or maybe 5 kW. The point being that the more powerful the charging system the more degrees of autonomy the driver has. 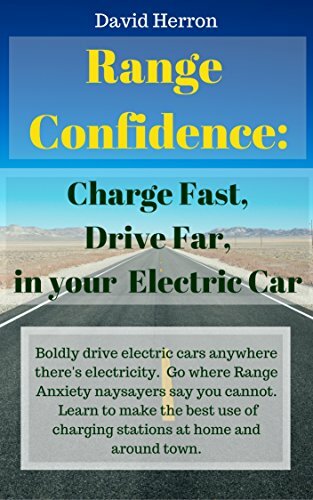 Conceivably a driver taking a longer trip might feel more encouraged to plug in and charge the car during the trip, because of more miles of range gained per unit of time, than with a lower-power charging system. Because it&apos;s not 2011-13, this car is (to me) an interesting curiosity. Honda wants us to believe they&apos;re really interested in green and minimizing the harmful pollution from the vehicles we drive. But they&apos;re behind the game on electric vehicles and instead spent a few years working on fuel cell vehicles rather than battery electric. This price, base MSRP $33,400, also leaves me a little underwhelmed. At not that much more dollars one can buy a 200 mile range battery EV and not have to put up wth stinking gas car attributes like oil changes and gasoline stations. If that sentence made one say "hey wait a minute, gasoline isn&apos;t all that bad, and it lets me take long trips" then this car is for you since it&apos;ll let you continue using gasoline as the means to long trips. I apologize, but my point of view is the necessity of switching completely to electricity. Cummins Announces Acquisition of Electric and Hybrid Powertrain Provider Efficient Drivetrains, Inc. Acquisition Will Accelerate Electrification Capabilities: Cummins is continuing its move into clean energy technology by acquiring Efficient Drivetrains, Inc., a manufacturer of hybrid, plug-in hybrid, and fully electric drive trains for commercial trucks. Cummins is of course a large manufacturer of big trucks, and is looking to shift towards clean fuels away from the Diesel fuel that normally powers the industry. Earlier Cummins acquired Brammo, a manufacturer of electric motorcycles and energy storage systems, and Johnson Matthey&apos;s battery business. Another related announcement is that Cummins is developing both battery-electric and plug-in hybrid drive trains for transit busses. Eventually all vehicles must be electrified, including police cruisers. Ford is taking a step in that direction by offering a pursuit-rated plug-in hybrid sedan. This car is targeted at personell whose job does not require a pursuit-rated vehicle, though Ford also describes it as being pursuit-rated. There are a number of features for police officers, including "anti-stab plates" which would seemingly mean a metal plate in the driver seat preventing someone in the rear from stabbing the officer through the seat. Ford does have decades of experience in building police cars, and obviously understands what they need. Another interesting feature is a power export outlet in the trunk, presumably to run lights or other equipment off the traction pack without having to idle the gas engine. What happens to a Chevy Volt when it runs out of electricity AND gasoline? : What happens if you run out of gasoline while driving a Chevy Volt? In a &apos;regular&apos; gasoline car, running out of gasoline means you&apos;re stuck by the side of the road. While driving a battery-electric vehicle, run out of electricity and you&apos;re just as stuck. Plug-in hybrids, like the Volt, let you keep going if you run out of either gasoline or electricity. When electricity runs low, it automatically turns on the gas engine to recharge the pack. What happens, in the Volt, if you run out of both? What is the difference between Plug-in Hybrid, Hybrid, or All-Electric battery-electric vehicles? : There are two kinds of plug-in electric vehicles, the plug-in hybrid and the all-electric or battery-electric vehicle. Regular hybrid vehicles, while having electric components in the drive train, are not plug-in electric vehicles. The difference between them is primarily in how far you are willing to go to divorce yourself from gasoline. The plug-in hybrid (or PHEV) still relies on gasoline, and uses gasoline to implement long range driving, while the all-electric vehicle uses no gasoline, and therefore relies on fast charging for long range. This Chevy Volt owner (note - Plug-in Hybrid) tells us he is frequently asked why he doesn&apos;t own a Tesla. In other words, why not own a battery electric car, and why instead to own a plug-in hybrid? The obvious first answer is that the Volt and other PHEV&apos;s are nowhere near as expensive as a Tesla Model S or Model X, and therefore regular folks can buy a Volt. That&apos;s a completely understandable answer, though will change later this year as the Tesla Model 3 comes on the market. Next reason - usable driving range for road trips. That is, when the Volt runs out of battery power you just keep on driving because the gasoline engine kicks in. You can even never touch the charging port and drive forever on gasoline. Or, that&apos;s what the guy in the video says. Too bad that&apos;s an incorrect idea. What about battery swapping as the solution for increasing charging time? It&apos;s not a good choice that failed in the market. See Wouldn&apos;t battery swapping be preferable over waiting to recharge?